All the beauty of the stag on a modern paint canvas ! Created by our artists, this lounge paint canvas is entirely hand painted. The dimensions of this paint stag are 60 x 80 cm. Free 48/72 h delivery in metropolitan France and Belgium for this original oil painting. 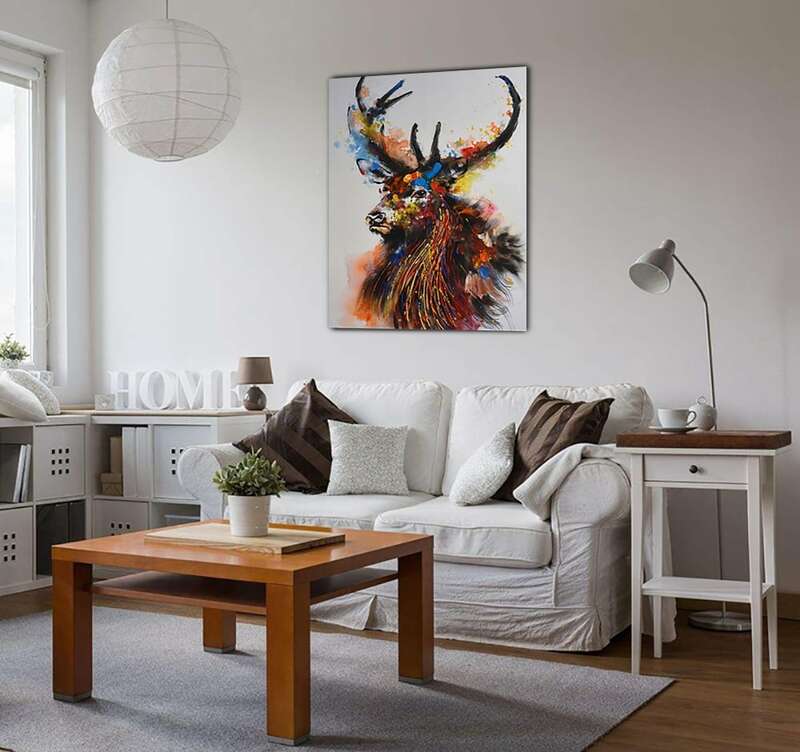 A remarkable representation of a stag on a coloured paint canvas for your lounge. Top trendy, the stag is found in many interior decorations and in various and different styles. 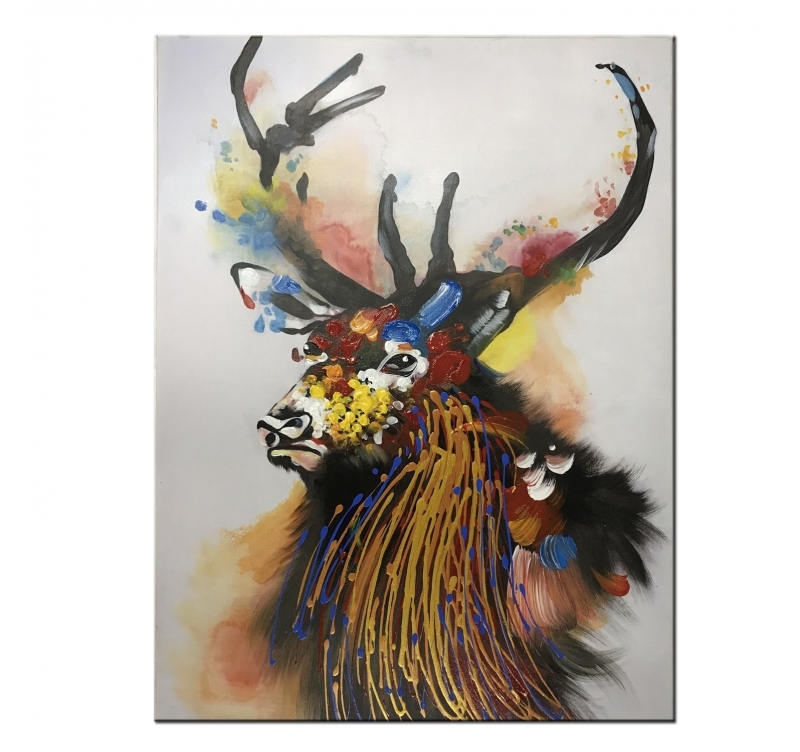 Here you can find it on a hand painted design canvas with explosive colours that adorn the animal while giving it relief. The long antlers give the animal an impressive stature making of this modern paint canvas a unique work of art. 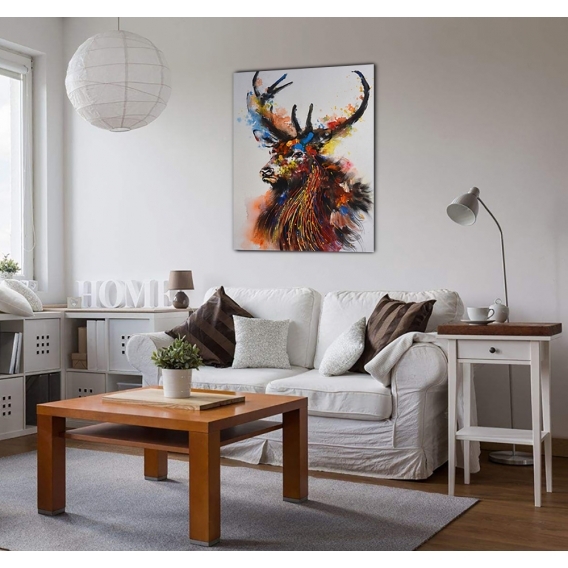 This stag wall canvas is stretched on a wood frame to ensure a long lasting and high quality finish. 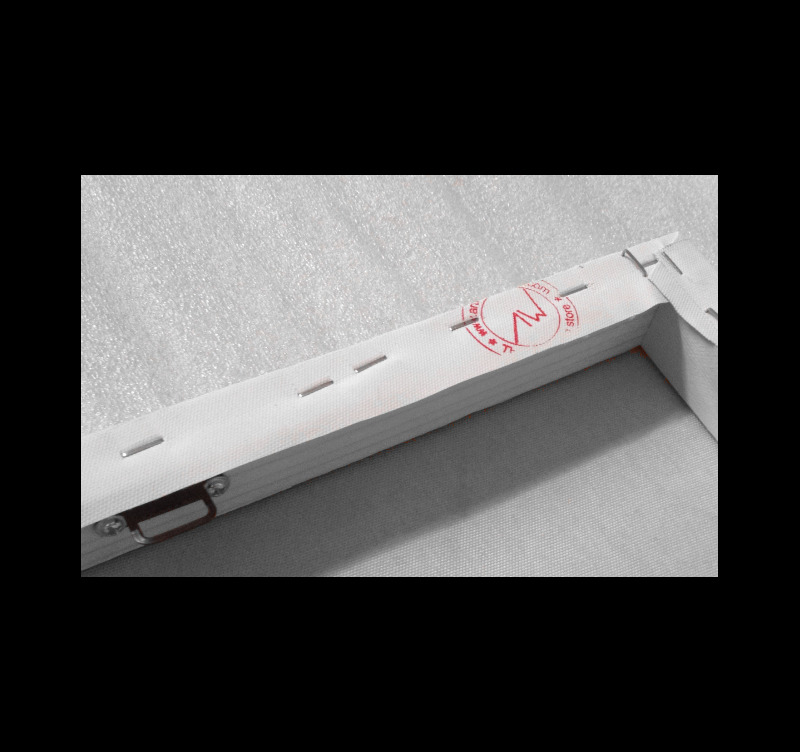 All the canvases of the paint canvases category are not reproductions and are hand painted by our Artwall and Co artists.